Carlos Secretario was the first Portuguese. The next to arrive was Luis Figo, role model for Cristiano Ronaldo, who at 24 is Real Madrid's latest signing and already has a spectacular track record. The right back was the first Portuguese player at Real Madrid. He was only at the Club for a year and a half and didn’t really perform well enough to become a starter. He joined Porto after leaving Madrid, becoming pivotal in the club’s best run in the modern football era. He won one UEFA Cup and a Champions League coached by Mourinho. Like Cristiano Ronaldo, Luis Figo was signed by Florentino Perez. He was the President’s first signing and helped bring glamour back to the team’s right wing, which was still suffering from Michel’s departure. Figo was an amazing dribbler and served impressive assists to his team-mates. Infallible in set pieces, he formed a great partnership with Raul both on and off the pitch. 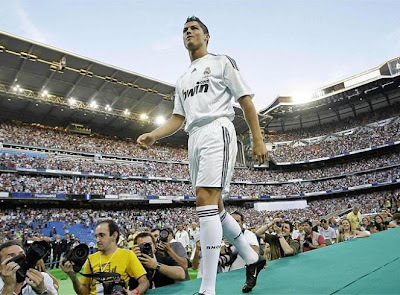 His arrival at Real Madrid attracted much media attention because he came from eternal foe Barcelona; the signing indeed caused a rift between both clubs. 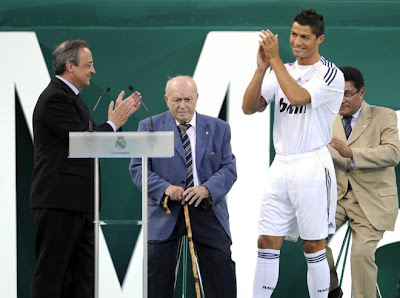 He played for the Whites for five years, the most successful of his career; he won La Liga, the Champions League and the Intercontinental Cup.